Vincent is a gentleman that I would call an intermediate recreational player. When he sits down at the table, he plays to win. He plays the appropriate hands in the right position. He will raise or re-raise with his monster hands. He pushes his edge when he has the best of it. I wouldn’t say he aspires to be a top-notch player, but overall he can hold his own. Vincent’s only major downfall is his temper. I don’t mean to say that he’s the type of person who will start a fight with someone in a casino, but when he takes a bad beat he will throw cards across the table as if they were small frisbees, berate a player for their bad play, and even jump down the dealer’s throat for always killing him on the river. His maturity level in poker can be like that of a whining kindergartener. There have been days when it gets to the point that the dealers have to call the floor manager over to tell him to settle down. How you handle a bad beat is one of the things that separates the wannabe good players from the truly good players. Usually, he’s too steamed up to listen to sound poker logic, so I just save my words of wisdom. The point that I am making though, is the way that you make money in poker is by getting players to put their chips into the pot when they are losing. Here’s another way to look at it: At a casino with roulette wheels a player just walking around decides to drop $25,000 on a single number. When he hits it, and wins nearly a million dollars, the owner of the casino doesn’t come downstairs and tear into that player for his good luck. Sure, it may sting their bottom line a bit for that day, but he also knows that if the player feels he can continue to get that lucky, and continues to press his luck, they will get their money back and then some. In poker you have to look at it in the same way. You will get players who chase weak draws of some sort with horrendous pot odds to match. Over the long haul you will win far more than you will lose. Everyone gets upset from time to time when they lose a big pot to bad play. I’m no exception to this rule. Anyone who has sat at a table with me will tell you that I can talk and joke with players when I’m winning. Let me lose a few hands though, and suddenly the volume level goes down and I can even get a little miffed at some players at the table who I feel have robbed me of chips. Treating them like second-class citizens does nothing for me (except maybe for the moment). It definitely does nothing positive for the overall game. Acting like a good sport to a tough loss keeps the player in the game and hopefully fueled for more action. Don’t let yourself have the table image of being a bad sport. Just shake it off, come back for the next hand, and get your chips in the pot at the right time. Let the cards fall where they fall, and in the end you will have success. The poker strategies that I typically discuss, unless otherwise noted, are in reference to cash games. 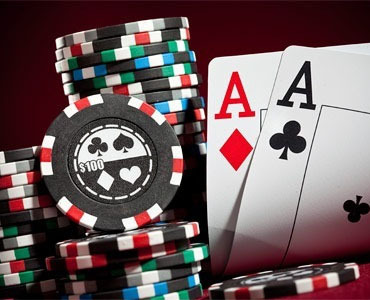 Cash games are more of my element over tournament poker and I do not believe that the strategies implied can be used at all times in both types of games.